Schick Shadel Hospital founded by Charles A. Shadel has been providing medical and proven treatment for individuals suffering from substance abuse and addiction problems for more than 80 years. The hospital’s founder was a pioneer for many of the treatments for alcoholism being used in the modern age. Charles A. Shadel also adopted the philosophy of treating the alcoholic’s body instead of the mind and developed a counter conditioning treatment program (which still runs in the hospital as an aversion program) and in the year 1935, he opened a colonial, home-like mansion for individuals suffering from alcoholism. He viewed alcoholism as an addiction and created a safe method for averting alcoholics from alcohol with a gastroenterologist named Dr. Walter Voegtlin. Schick Shadel Hospital offers aversion therapy as a form of counter-conditioning the entire point of it, being to help addicts curb their cravings and dependency for alcohol and other substances. This is achieved by treating the patients’ addiction at all levels, rerouting their neuropathways, and proper counseling. The hospital boasts of its above average success rate emphasizing its team of addiction-experienced medical staff and good patient care. The hospitals’ staff comprises of a team of physicians, nurses, and counselors. The hospital also offers a safe detoxification and an inpatient program. Additionally, clients receive comprehensive evaluations, a continuing care plan, and psycho-educational groups. 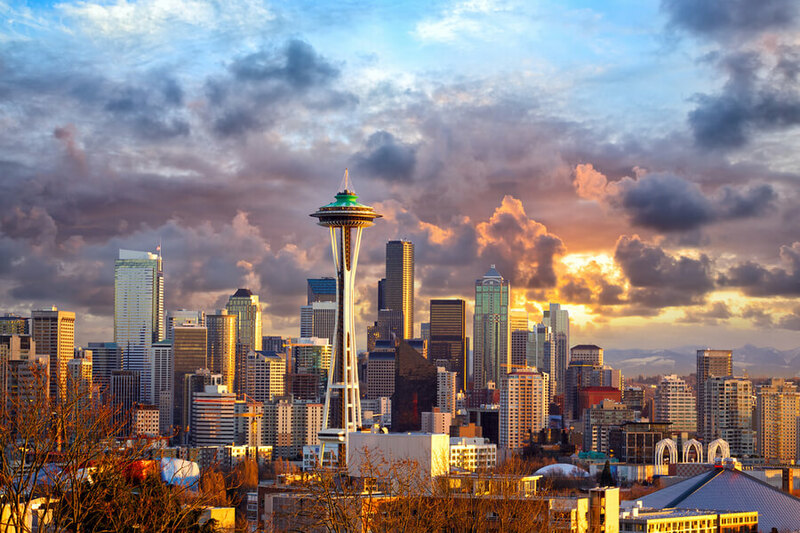 The hospital is located in the city of Seattle—the state of Washington’s largest city—which is surrounded by forests, mountains and a natural atmosphere. The hospital has semi-private and private rooms which are available for an additional cost. There is a television set in each room and workout equipment is available for clients who are interested in exercising at leisure hours. Clients in the hospital do not wear street or casual clothes but scrubs and robes. Slippers and sandals are recommended for walking around in the hospital and clients who smoke have access to a smoking deck. Food is served at the hospital thrice daily and in a huge dining room. Patients at the facility are free to order pizza and other outside food, use their computers and mobile phones (the hospital has free Wi-Fi) and bring books and other literary items. There are walking paths around the facility for clients’ in need of meditation and reflection and the hospital also has a snack room and library made available for clients. The hospital offers a safe detoxification program for individuals battling chemical dependency of any sort and is supervised by the physicians daily with 24/7 nursing care. Based on each client’s individual needs, length of detox period may vary but usually lasts from 3-7 days. In this form of treatment, patients are kept comfortable while they detox and their symptoms are medically treated and monitored. Patients participate in the hospital’s 10-day substance abuse rehabilitation program which usually consists of individual counseling, group sessions, educative classes, and aversion therapy. Patients also go through sedation therapy in order for a structured and effective treatment plan to be designed for them. After completing the treatment program, patients will return for a 1-3 month follow-up session to ensure that their sobriety is being maintained. Applicants that don’t have insurance or proper funding and are qualified are given financial assistance. Interested applicants are advised to check Prosper HealthCare Lending for more information on lending options. Clients that use Prosper Health Care loans have longer terms to pay back and collateral is not needed. Bills can easily be paid online through a payment portal to make the payment process easier. The treatment center is licensed and accredited by The Commission on Accreditation of Rehabilitation Facilities. The hospital has a fast-paced 10-day inpatient program, which has recently become the most popular choice for clients. Addiction at the hospital is treated as a medical condition and as such, the hospital has made available qualified professionals, MD’s and RN’s, to give patients the best care possible. The hospital, unlike other facilities, allows for the use of electronic devices such as tablets, phones, and laptops to help create a comfortable environment to aid client recovery. The hospital uses aversion therapy, medical sciences, and counter conditioning to treat substance use disorder. The method for treatment used by the facility is old school as knowledge has evolved and other practitioners use more advanced methods, but replacing a craving or tick with something else is also a good option for clients looking for a different treatment program instead of the usual 12-step program. Philip has an open door policy towards clients allowing for good communication and easy access creating a trusting environment to aid recovery. He is married with two children and has been for over 30 years. He is also a troubleshooter and believes in the quick identification of problems and resolving it at all levels. Troy holds a Master’s degree majoring in Business Administration. He has been working with the facility since 2007 and has a lot of experience as he has been in the business sector, entertainment industry, and publishing. He finds inspiration in seeing clients make positive choices and decisions towards a positive change in their lives and that of their families. Mark holds a Bachelor’s degree from the Central Michigan University majoring in Journalism and a Master’s degree from The Michigan State University majoring in advertising. He has over twenty years experiencing working in the marketing department in healthcare and loves working with the facility as it inspires him, watching the effective program the facility implements help patients to recover and change the course of their lives.